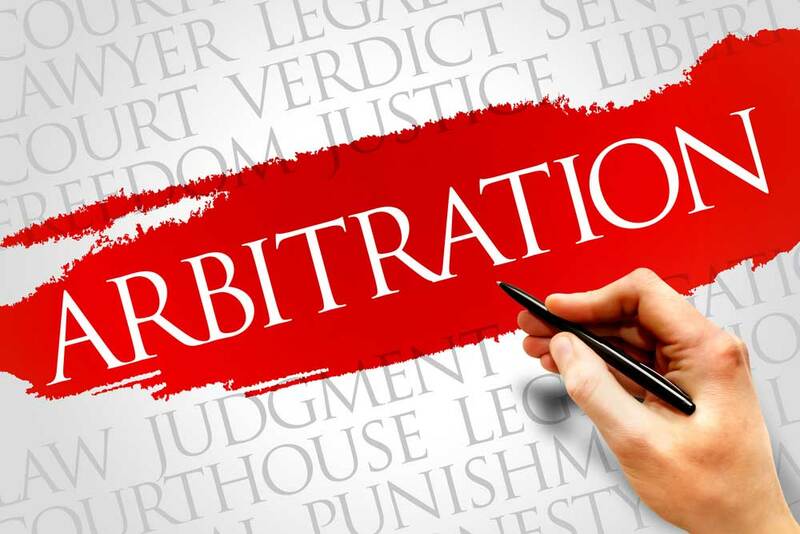 In May 2018, the United States Supreme Court ruled on a case involving arbitration clauses that heavily favors employers. The 5-4 decision delivered yet another blow to the rights of workers who are increasingly pinched between stale wages and ever-increasing living expenses. While the case was damaging to worker’s rights, it doesn’t mean there isn’t hope if you’ve been mistreated by an employer wielding an arbitration contract. The Supreme Court might be unwilling to protect your rights as a worker, but a good employment attorney can still determine if you have a case, and fight on your behalf. Continue reading to learn a little about the Supreme Court’s ruling on the Federal Arbitration Act, and what it means for workers forced to sign these agreements. If you feel you’ve been the victim of an employer’s unlawful behavior, contact our office to find out how we can help. The US Supreme Court considered this case, in which several workers argued their employers had underpaid them. As a condition of their employment, the workers had signed arbitration agreements, which allow companies to settle employee grievances in a private setting as opposed to a court of law. The phrase “other concerted activities” is the passage that divided the court in this case. Trump appointee Justice Neal Gorsuch, who wrote the decision for the majority, took a very narrow view of the text of the law and argued that the wording of the Act, which does protect union activity, does not specifically give workers the right to file class action lawsuits. Gorsuch also repeatedly referred to the Federal Arbitration Act (FAA), which was passed 10 years before the NLRA, and allows companies to divert court claims to an arbitration setting. Justice Ruth Bader Ginsburg, who wrote the dissenting argument (and actually read it from the bench), suggested that the FAA is unlawful, and reminiscent of “yellow dog contracts” in which employers were once allowed to compel employees to sign agreements promising they wouldn’t join a union. She further argued that the FAA was not designed to settle disagreements between workers and companies, but rather was made to settle disputes between companies. Ginsburg eloquently argued that the NLRA was designed to protect workers who have little bargaining power when dealing with employers. She added that this protection extends to employees who wish to band together and collectively sue an employer (strength in numbers). Alas, the court handed down its decision, which means that for now, employees who sign arbitration clauses as a condition of their employment, have little option but to abide by terms of the agreement. What Exactly is an Arbitration Clause? Oftentimes, when an employee is hired at a new job, he or she is handed a packet of documents, many of which require signatures. These packets frequently include a document in which the employee agrees to have any potential claim against the company heard in an arbitration proceeding. Arbitration does provide certain benefits in that the costs of the proceeding are covered by the employer, and the case is often decided in a much speedier fashion than would happen in a court setting. However, there is generally no appeal process, and the final decision is legally binding. In 2015, the New York Timeswrote an article on the recent increase in arbitration cases nationwide, which stem from a series of Supreme Court decisions. While the article focused on arbitration clauses in cell phone and other product-related contracts, it noted that employee arbitration is also on the rise. In many cases, these contracts effectively ban class action law suits against already wealthy and powerful companies. “Some state judges have called the class-action bans a ‘get out of jail free’ card,” the Timeswrote. “Because it is nearly impossible for one individual to take on a corporation with vast resources. Can You Refuse to Sign an Arbitration Agreement? Of course. However, in an at-will state like California, an employer can fire you or rescind the job offer if you refuse to sign. When deciding whether to refuse to sign an arbitration agreement, you must carefully consider your value to the company. Is the employer likely to cut ties with you and find another employee who will sign without question? Or are you irreplaceable? Are Arbitration Agreements Bullet Proof? Not always. It’s important to remember that every case is different. If you suspect that the agreement you signed wasn’t on the level, it might be worth your time to have the document reviewed by a qualified employment attorney. There are certain factors that can render an arbitration contract void. Was the contract signed under duress? Was it signed fraudulently? Were the agreement terms unconscionable? These things could affect the validity of an arbitration agreement. If you have questions about arbitration agreements or other employment issues, contact our office for more information. If our attorneys determine you have a case, and are able to proceed with a lawsuit, you might be able to pay our attorneys on a contingency basis. This means you don’t pay out-of-pocket legal fees. If you successfully win a claim against an employer, you could be eligible for lost wages, pain and suffering, and back pay. Give our office a call to find out how we can help.